I’m a real list nazi. One of the many aspects of collecting that I love is to make lists and check off things. It gives me a wicked buzz whenever I acquire something I was looking for and thus am able to place a big fat checkmark on one of my many lists, getting closer and closer to completing something. I know, I’m crazy that way, but I’m willing to bet that a lot of collectors know exactly what I’m talking about! 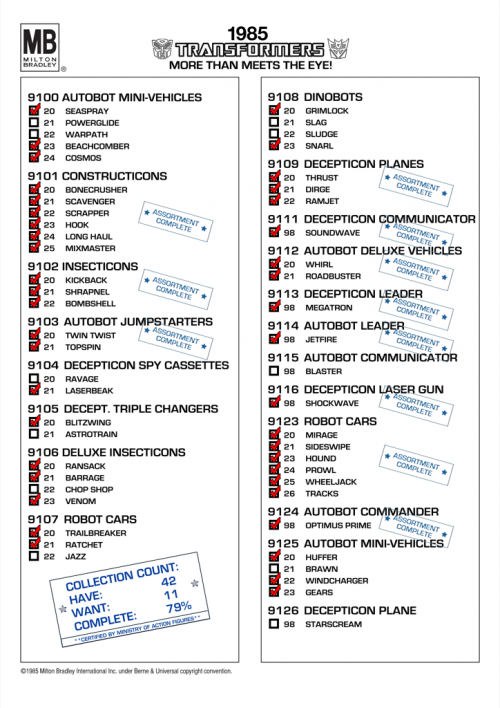 I recently acquired some nice new additions to my MB (Milton Bradley) Transformers collection, so I was able to put down another couple of those big fat checkmarks on my list. What you see above is the fruit of my obsessive labour. 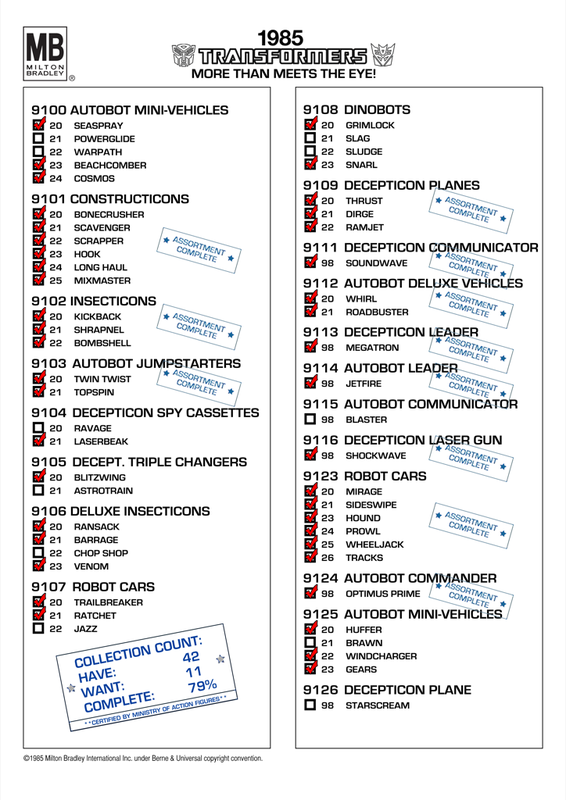 It’s a list of all known Transformers released by MB in 1985 in Europe, ordered by assortment. As you can see, my collection is now 79% complete, which still amazes me, because I only started collecting this line just two years ago. I have a special page dedicated to my MB Transformers collection, which also contains photos of all the items in my collection. I have now updated this page with my latest additions and if you’re ever in the mood you can check it out here!